New South Wales has its fair share of sunshine, so why not make the most of it with solar? With hundreds of thousands of homes and business already taking advantage of the sun’s power, it’s worth considering if solar power can help you save as well. Whether you’re looking to get started with solar or simply upgrade your system, this article will walk you through everything you need to know about solar, including the benefits, costs, where to buy and how to find the best system for your home. How much do solar panels cost in NSW? It costs between $2,800 and $12,500 for a standard solar system in New South Wales, depending on the size of the system. Generally speaking, a small system (less than 3kW) will set you back up to $4,000, whereas a larger system can cost over $10,000. While solar is by no means cheap, solar in New South Wales is considerably cheaper than the national average. Better yet, solar has become considerably cheaper in recent years and prices are expected to continue to come down. Below you can see just how much you can expect to pay for a solar system and how it compares to the rest of the nation. Source: Solar Choice – December 2018 solar price index. How many households have solar in NSW? There are around 450,000 rooftop solar PV installations in New South Wales, accounting for about 15 per cent of households. There are also about 250,000 with solar hot water, bringing the total number of homes and business with small-scale generation up to about 700,000. This makes New South Wales the Australia’s second largest solar state, behind Queensland. Although the NSW Solar Bonus Scheme ended in 2017, falling solar prices and rising electricity prices means NSW residents continue to take up solar. NSW residents have access to two solar incentives: Small-scale Technology Certificates (STCs) and feed-in tariffs (FiTs). Granted, the solar incentives are not as generous as they once were, but they can still save you thousands of dollars over the life of your system. When you install a renewable generator be it solar, wind, hydro or other, the federal government awards a number of STC’s in proportion to the expected energy output over the life of that generator. These certificates can be sold for around $40 each, serving as a form of rebate that can potentially save thousands on installation costs. The number of STC’s a solar customer receives depends on the installed system size as well as the location – the sunnier the area, the more STC’s. 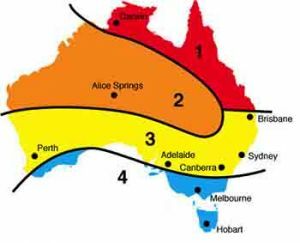 Australia is split in to four STC zones with zone 1 receiving the most STC’s and zone 4, the least. The majority of New South Wales sits in zone 3, however the North-West area of the state is situated in zone 2. If your panels produce more electricity than what’s being consumed, the excess is exported to the electricity grid. 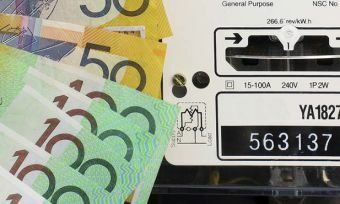 Your electricity retailer will pay you with a small deduction on your bill for each kilowatt-hour (kWh) of electricity exported – usually around 7 to 12 cents per kWh. The solar bonus scheme will ended December 2017, and all customers who were receiving a government subsidised feed-in tariff of 20c or 60c per kWh were transitioned to another feed-in tariff. New South Wales has a well-developed energy market, with a myriad of retailers offering a range of solar products. Feed-in tariffs can be anywhere from 7c/kWh to 20c/kWh or more, meaning it’s definitely in your financial interests to shop around. Keep in mind that deals with high feed-in tariffs might include smaller discounts or increased electricity usage rates. This means a good FiT might not translate to a good deal. Below you can see some of the products in the New South Wales market. In 2018, the New South Wales Government introduced the Low-income Solar Scheme, designed to help 3,400 low income households get started with solar. Eligible household can choose to forego their Low Income Household Rebate – valued at $285 a year – in exchange for a 2.5 kW solar system. While that is a relatively small solar system, the Government states that it could save households $600 per year, which is more than twice the rebate. Solar batteries are a relatively new technology, but already thousands of NSW households and businesses are getting on board. Solar batteries help you get the most of out of your panels by catching and storing excess solar power generated by your panels to use later on. Without a battery, solar power that is not used almost as soon as it’s generated will flow on to the grid. For each kWh of electricity fed onto the grid, the customer receives a rebate of a few cents. This rebate is called a ‘feed-in tariff’ (see above). Since electricity usage rates are usually much higher than feed-in tariff rates, customers can save more by storing excess solar with their battery to use for themselves. This way you reduce the amount of electricity you consume from the grid and save even more on your power bill. While it is true that a solar battery can help lower your power bills even further, they unfortunately do not come cheap. Generally speaking, you can expect to pay between $8,000 and $12,000 for a relatively standard battery, though prices vary considerably depending on the size of the unit. 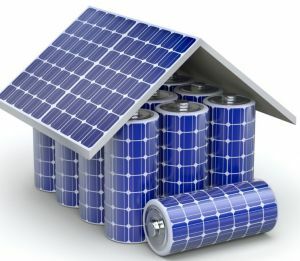 It is also more expensive to retrofit a battery rather than having it installed at the same time you buy solar panels. It can take 10-15 years for a battery to pay for itself, but this once again depends on the price of the battery and your energy usage habits. Since many battery warranties expire around the 10 year mark, it is possible that the battery that you won’t recoup the entire cost of the battery. Regardless, a battery might still be a good investment if you use a lot of electricity, you’re charged high usage rates, your network has imposed a solar export limit or you live in a rural area out west and a new grid connection is too expensive. For more information on solar batteries, including some key things to consider before you buy, check out Canstar Blue’s solar battery buying guide. Is solar power still a good investment? While solar might not be the same sure-fire investment that it once was under previous generous government incentives, the falling price of solar, plus rising electricity rates and competitive feed-in tariffs, means a solar system can still save you money. In addition, complementary solar technologies such as storage systems may mean we could be living independent of the energy grid and energy retailers all-together within a few decades. Do you live in a sunny area? Solar panels obviously need sunlight to work – the sunnier your area, the more you stand to save with solar panels. The sunniest parts of New South Wales are west of Dubbo. Areas along the coast receive less sunlight, particularly from Wollongong to the Victorian border. Do you plan to lease or sell your home? A solar system usually adds value to your property, but the amount it adds largely depends on the property market – not the value of the system itself. With that in mind, if you’re considering installing solar before selling your home, talk to the real estate first to see if that will help the home’s value. What size solar system should I opt for? A solar system will produce approximately four times its listed size each day. For example, a 3kW system will produce around 12kWh of electricity. The average household will use around 16 to 20 kWh of electricity per day – however only a fraction of this is used through the middle of the day when solar is at maximum output. Unless you have a generous feed-in tariff or solar storage system, a large solar system might cost you more than you will reasonably recoup in bill savings.